Multiple player game. 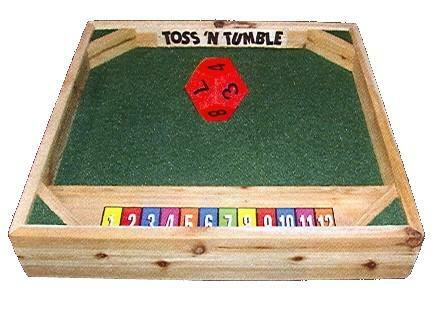 Place your chip on your favorite number...12 sided die is rolled...You win if your number comes up...Our Toss N Tumble carnival game is perfect for carnivals, schools, corporate, grand openings, casino parties, Monte Carlo themed parties, lessons on probability and much more. Our Toss N Tumble carnival game comes ready to play with legs built in.